Ever wondered how the Imagineers at Disneyland, Walt Disney World and all other Disney theme parks pack so much into their attractions, in such a small space? 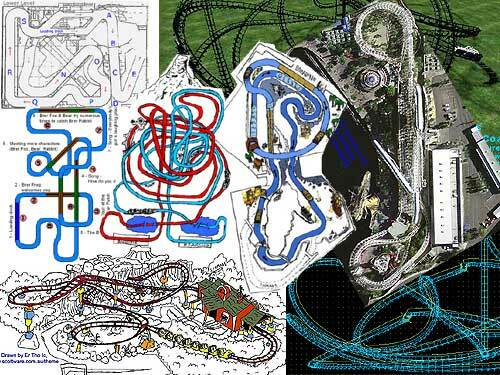 Do you want to recreate a Disney ride in a computer game simulator (like Roller Coaster Tycoon) or K'nex coaster model? We've had people from all over the world send us attraction blueprints, arial views, sketched drawings, computer maps, satellite pictures etc, of the attractions at Disneyland and Walt Disney World. Some maps show different elevations and have an extra '3D' perspective view drawn to get the real feel of the layout, others are even animated. Please send us your maps!